Learn more about Carpet Advantage! We are the only Shaw Floor Gallery dealer in East Central Illinois. Family owned for 22 years, Carpet Advantage is your best flooring advantage. We are the leading dealer in Central Illinois for all types of flooring, including hardwood, ceramics, laminate, and carpet. Located in Urbana-Champaign, we provide professional installation of popular brands such as Shaw, Mohawk, Armstrong, Marazzi, and Teragren! 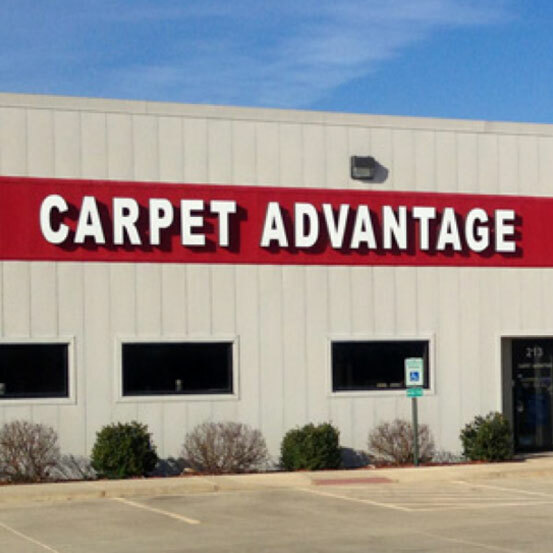 Carpet Advantage was opened in May 1992 by Ray Lantz who has over 40 years experience in flooring retail. The name was chosen to reflect the fact that the first showroom was in our van, thus adVANtage. Over the years, as we have grown, the name has come to symbolize the many advantages that our customers receive when the come to our store. Family-owned and locally-based, Carpet Advantage strives to offer great service, great selection and great values. Started in 1992 with only 1 employee and 1 subcontractor installer, Carpet Advantage has grown to 4 employees and 15+ subcontractor crews. We moved to our state of the art facility at 213 S. Industrial Circle, Urbana in March of 2007. Ramie Lantz joined Carpet Advantage in Jan 2004 and has over 9+ years of flooring experience. Ray or Ramie will make house calls to measure before any flooring is ordered. Each works closely with the installation crews to make sure that everything is done right to ensure the very best service. Carpet Advantage is the only Shaw Floor Gallery dealer in Central Illinois. Our showroom is designed to help purchasing flooring as easy as we can make it. 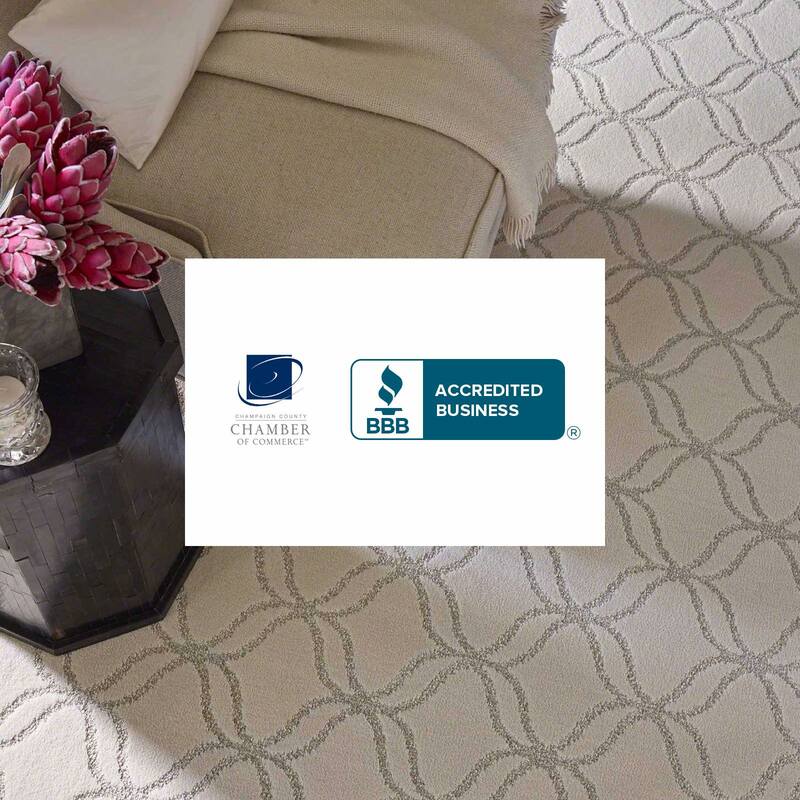 Carpet Advantage is a member of the Better Business Bureau of Central Illinois. We were asked to join because of our reputation for customer service. Carpet Advantage is a member of the Central Illinois Apartment Association. Chosen as the vendor of the year in 2001, we were asked to serve on the board of directors in 2007. As much as possible, Carpet Advantage uses solar power at our facility. We get as much as 80% of our energy from the sun. Meet the seasoned flooring veterans at the helm of our business! Carpet Advantage is proud to be the only Shaw Floor Gallery dealer in East Central Illinois. We are a pioneer in the flooring industry and offer all types of flooring to suit your needs from hardwood, ceramics, laminate, and carpet. 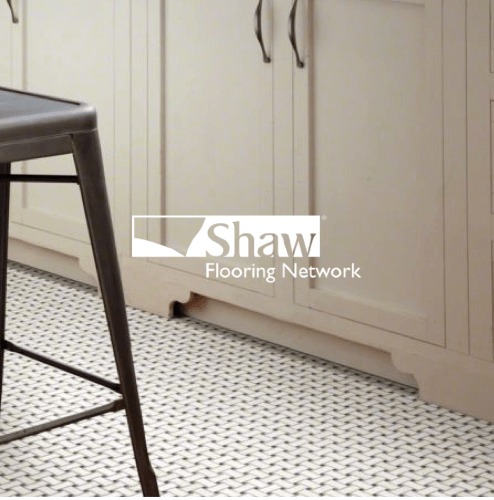 We also offer installation of reputable brands such as Shaw, Mohawk, Armstrong, Marazzi, and Teragren. Hear about our services from the people who know us best - our customers!